Businesses depend on people and knowledge to operate successfully. 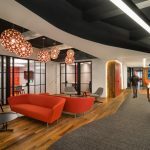 Office space is the primary place where the transfer of knowledge occurs, and it’s second only to salaries as the largest expense for most organizations. And that is rapidly changing. The quality of the experience matters. As architects and interior designers, we find ourselves surveying a landscape of large office buildings to house work forces that, today, are more distributed and mobile than ever before. After all, technology has had a significant impact on the way we operate. Now, we can work from any location – well, as long as we have a cell phone signal. Plus, younger staffers entering the work force are not using office space the way their parents did. The big office is no longer the perk it once was; instead, what is important to these generations is the quality of their interaction. They increasingly are evolving today’s work place by defining how, when, where, and with whom they want to work. So, the question becomes, do we really need office space? And, if we do, how will it be different in the future? We want to explore the possible answers to this question about the new work environment and everything that’s associated with it. Today’s office is not just about space. It is about how we work, where we work, and the tools that enable us to work efficiently and effectively (from virtually anywhere). Work where you want. It’s this notion of anywhere that has inspired us. 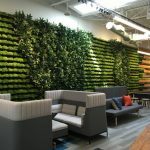 We may work in our homes and traditional corporate offices, but the “third place” or alternative work environments begin to describe these new workspaces in which people can simply meet with others and do work. Welcome to the first issue of Workspace Design Magazine. Our mission is to highlight new ideas about the changing work environment in order to increase efficiency, seamlessly integrate technology, and encourage prosperity through design. Our staff and editorial contributors understand that the traditional office is changing radically. We collect, interpret, and disseminate feature articles that describe that changing work environment. Do people really need to be in the office to do their work? How can space be optimized for efficiency, technology integration, and collaboration? How is the space being used – and why is the unused space being ignored? How often is office space empty – and why? We will draw from and provide a resource to the leading experts in the industry who are helping to solve workspace design challenges confronting facility managers and administrators of the largest corporations in the nation. We consider cultural, anthropological, design, technology, sustainability, and economical issues in all of our work. We hope that you will participate by contributing thoughts and ideas to share your knowledge. With your help, we look forward to being the resource on designing today’s workspaces. Photos and key takeaways from our Houston Work Design TALK. Previous articleWhat If Gen Y Transforms All Workplaces? As a professional organizer who specializes in organizing home offices, this question really intrigues me…I look forward to hearing what you have to say on the evolution of workspaces. Great work – wish you much success!